Surprising omissions and frustrating design decisions hold Heroes back, but Fire Emblem on the go is always a good thing. Fire Emblem should have died five years ago. Back in 2012, the sun was about to set on the strategy RPG series, and 3DS exclusive Fire Emblem: Awakening was set to be the final game in the franchise. Things, however, didn’t exactly unfold how Intelligent Systems and Nintendo had thought they would- the game launched to incredible reception and unexpectedly great sales, breathing life back into the franchise. Within these last five years since the release of Awakening – five years which also saw the launch of the three-pronged, excellent Fire Emblem Fates – Fire Emblem as a franchise has become much more important and prominent for Nintendo than anyone could have ever imagined, so much so that it becomes the third Nintendo series after Pokémon and Super Mario to try its hand in the mobile market. And for the most part, it can be said that the results are successful, if not on the level of Pokémon Go and Super Mario Run. While Fire Emblem Heroes is an extremely enjoyable tactical RPG that captures a lot of what makes the core series so endearing to its fans, there are some notable omissions in the gameplay and some frustrating design choices that hold Heroes back in a lot of ways. Battles in Fire Emblem Heroes are fun and exciting and often challenge you to think about your tactics and the positioning of your units rather than allowing you to just rush into battle. They’re not the multi-layered, supremely challenging battles that have been a mainstay of the series since its inception- no, here, rather than going for vast, sprawling battles that can take up to an hour (or more, at times) to finish, Fire Emblem Heroes chooses to provide players with a constant stream of bite-sized, smaller skirmishes. 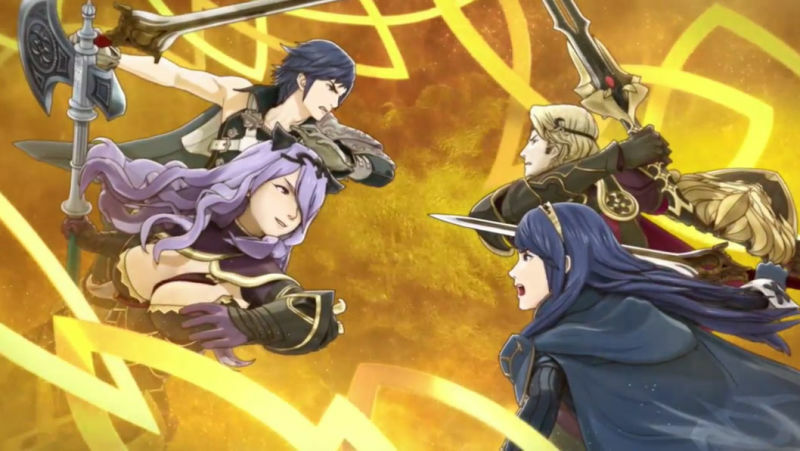 "Rather than going for vast, sprawling battles that can take up to an hour (or more, at times) to finish, Fire Emblem Heroes chooses to provide players with a constant stream of bite-sized, smaller skirmishes." And owing to the nature of the game itself and the platform that it will be played on, that makes a lot of sense. Maps in the game are smaller, only as large as your phone’s screen, and you can only take up to four units into battle. This makes for fast paced battles that begin quickly and end quickly but are never boring, and the rock-paper-scissors style weapon triangle of the game elevates the battles to greatness at times. Tinkering with the system and adjusting your strategies in accordance with which of your units may be more powerful or weaker against others lends decent depth to the battles and keep them from getting monotonous one-note affairs of routing your enemies. However, this same design structure that goes for quick flashes of (relatively) shallower gameplay rather than the full-fledged Fire Emblem experience is a double edged sword in a lot of ways. Since maps are smaller, they’re also more boring and more repetitive. While in previous games in the series, map design has been an essential part of the gameplay itself and has an incredible amount of influence over the flow of the battles, here it is reduced to a paltry background role. The size of these maps also messes with the balance of in-game units oftentimes. For example, where the advantages of several units such as the ranged archers or the faster and longer moving mounted soldiers have always been a major factor in battles in previous games, here, because of the miniscule map size, they don’t matter quite as much. What also doesn’t help is the exclusion of some essential features from previous games. Permadeath, which has come to be associated with the franchise so much that in a lot of ways it almost forms the crux of its very identity, is missing from Fire Emblem Heroes entirely. The exclusion makes sense in a lot of ways- the point of Heroes is to be a bite-sized and accessible experience that can be played on the go in short bursts, and the concept of permadeath would cut into that. But the fact that players don’t even get the option to switch it on or off – something the series has done before ­– is a little disappointing. "The Support system is admittedly fairly new to the franchise, but its omission in Heroes shows just how integral it has become to the Fire Emblem experience. It’s sorely missed." The game-defining Suppport system that elevated Fire Emblem: Awakening and Fire Emblem Fates to greatness is also missing here. Characters can no longer be paired to form a stronger bond, can no longer mingle with each other in romantic relationships, and this takes away from the overall experience in so many ways. 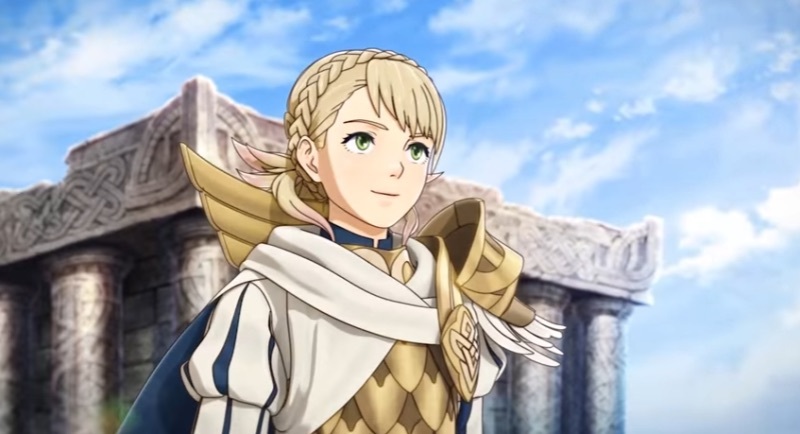 The Support system added a great deal of tactical nuance and depth to battles in Awakening and Fates, and the fact that its missing in Heroes means that battles lose a great deal of that. The Support system is admittedly fairly new to the franchise, but its omission in Heroes shows just how integral it has become to the Fire Emblem experience. It’s sorely missed. 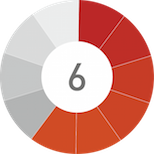 Additionally, in choosing to lean a little more heavily toward the mobile game design structure, the game also makes some frustrating decisions. For instance, as soon as the stamina bar, which is tied to every aspect of the game, runs out, you cannot battle anymore, and it takes five minutes to restore just one point of stamina. You can, alternatively, spend orbs to restore stamina, and orbs, which are hard to come by throughout the course of the game, can be purchased with real currency. This essentially means that the game pushes the players to spend real money, and as you would expect, aspects like this cut into the overall enjoyment of the experience significantly. Fire Emblem Heroes is not what a fan of the series would expect it to be – it sheds a lot of features that have been at the core of previous entries in the franchise – but that doesn’t necessarily mean it’s not good. It’s not the resounding success that experiments like Pokémon Go and Super Mario Run were, but it provides players with quick, entertaining battles and a surprising amount of content. It’s free, it’s fairly meaty, it’s fun- that’s a decent combination. And even though there’s a lot holding it back from becoming the kind of game fans of the series may have expected and hoped it would be, it’s still a fairly enjoyable experience that proves that Nintendo’s foray into mobile gaming will continue to pay off. This game was reviewed on an iPhone. Fire Emblem Heroes is lacking in ways that a Fire Emblem game shouldn’t, but it’s still an enjoyable, accessible game that fans of the series and the genre should be able to enjoy.